Today is World AIDS Day. It is one day of the year to come together to acknowledge and fight a disease that so many are LIVING with every day. It's as easy as going to Starbucks. 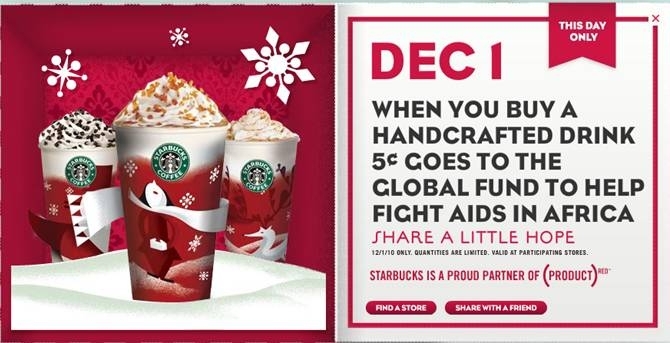 I have several very dear friends that are LIVING with HIV so this is something very dear to my heart. I'm not going to get preachy, just say, If you're debating whether or not you need that Peppermint Mocha today, I say go for it! You'll be helping men, women & children all over the world.